Dr.Mark L. Rubinstein et. al. conducted a study to evaluate the safety of e-cigarettes & identify the presence of chemical toxicants associated with e-cigarette use among adolescents.The researchers found that although e-cigarette vapor may be less hazardous than tobacco smoke but it contains many of the volatile organic compounds which are carcinogenic.They also found that adolescents who use electronic cigarettes have increased levels of carcinogen metabolites in their urine. Researchers analyzed urine samples from 67 teens who used e-cigarettes only, 16 who used both e-cigarettes and conventional cigarettes, and 20 who used neither (controls). The participants were 16.4 years old on average. Urine excretion of metabolites of benzene, ethylene oxide, acrylonitrile, acrolein, and acrylamide was significantly higher in dual users versus e-cigarette–only users (all P < .05). Excretion of metabolites of acrylonitrile, acrolein, propylene oxide, acrylamide, and crotonaldehyde were significantly higher in e-cigarette–only users compared with controls (all P < .05).E-cigarette–only users reported vaping, on average, 13 days a month. These teens had significantly higher urine levels of metabolites of five volatile organic compounds than did controls. 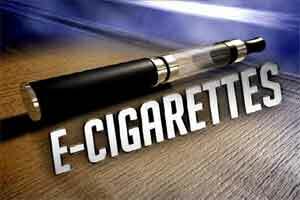 (Additionally, those who used both types of cigarettes had higher levels than e-cigarette–only users).